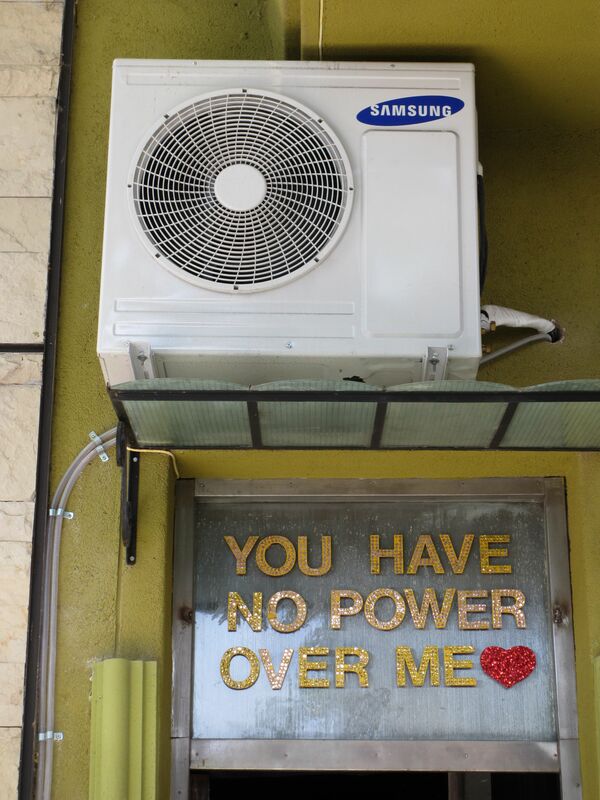 Also in Palermo Soho earlier today, I walked past this funny little whole-in-the-wall bar called “You have no power over me”. I got a kick out of the name, but a bigger kick out of the irony that there is an air conditioning unit right over the name!? This entry was posted in Buenos Aires and tagged Buenos Aires, Palermo Soho, You have no power over me. Bookmark the permalink.